The 25-passenger minibus is an excellent transit solution for groups that are too large for public transit and rideshare apps, but not quite large enough to fill up a charter bus. This intermediate-sized vehicle comes equipped with a number of features that are sure to satisfy your passengers, and your assigned driver will be able to quickly and efficiently get you to your requested destination. 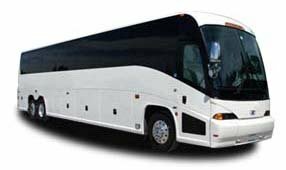 San Diego Charter Bus Company is ready to give you the services you need. If you’re ready to hit the road, call us today to find out how we can accommodate you. Contact one of our reservation specialists 24/7 at 619-209-7804 for a free quote!